Bell has just announced new graphics for the Vortex and RS-1 helmets. Check them out below and let us know what you think! 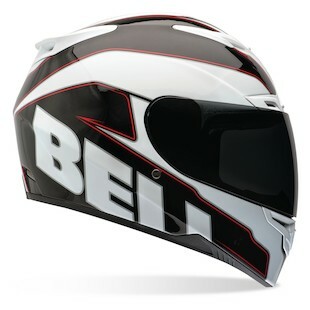 The Vortex Helmet is Bell's mid-range, Snell-2010-rated helmet for sport, track, or race use. They've released a new graphic for this very popular helmet. For the amount of features you get, including the Snell safety standard for under $200, this helmet offers real value. The Bell Vortex Monarch comes in two colors: black/pink, and black/silver. Also new, is a graphic for the Bell RS-1 Helmet, which is an extremely popular sport and street helmet competing directly with the Shoei RF-1100. Excellent fit, superior aerodynamics, awesome ventilation, and plush comfort define this lid. This new option is called the Bell RS-1 Emblem and comes in matte black, white/black, and hi-viz yellow/black.